When this blog first started, we spent a good amount of time talking about local San Diego phenom Stephen Strasburg. I was happy to point to his accomplishments, grabbed an opportunity to live blog his last home start of the season, and was thrilled to see him throw a no-hitter that night. For that game back in May, I was the first member of the media to arrive at the stadium, and reserved the best seat in the house in the front row of the press box. Sure, I was there as a reporter, but I don’t mind telling you I was most excited to see him in person, as a fan. I have to say, it was one of the oddest events I’ve attended when it comes to expectations and reality meeting head on. Since it was his last home start, the press box was filled with more writers than usual, many of whom were grizzled beat reporters for major league teams. We came in expecting to see once-in-a-generation talent, and it was as if anything less would be a disappointment. In any other situation we’d be setting the guy up for failure before he even stepped on the mound, but he managed to meet those expectations. Strasburg wasn’t just hurling heat, he was pitching. His stuff is good enough to overpower batters, but combine that with changing speeds and locations the whole game, and you’ve got a befuddled opposition. For the first few innings, whenever a batter even made contact, the press box acted as if it was a base hit. When one batter actually managed to hit a ball into the air (where it ultimately met an outfielder’s glove), we were legitimately surprised. When the no-hitter was completed, sure it was exciting, but it almost felt inevitable. In other words, we came in with unrealistic expectations for his talent, setting the bar at an inhuman height. And, for at least one night, he actually managed to meet those expectations. Following the last pitch of the game, the beat reporters scrambled to get the late story written up, while I grinded away at my closing post and saw MLB Network hustle to put together a tape and interview. It was a remarkable night, and I drove back home up I-5, wondering how well his stuff would translate against a patient big league team. That was May 8th, and today is August 17th. The Washington Nationals have until midnight to sign first pick Stephen Strasburg. 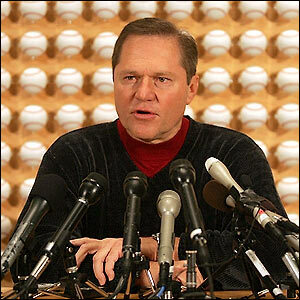 Of course, Scott Boras is right in the middle of everything. Rumors are that the Nationals are offering a contract worth $17 million, with incentives that can bring it up to $20 million. Unlike most fans, I don’t villify Boras at all: I appreciate that players should get fair market value for their services. Baseball has a long history when it comes to poor player contracts, including things like the reserve clause and free agency collusion, which were designed to unfairly keep player salaries low. So while it can be frustrating to see Boras milking every last dollar he can for his clients, I’m generally happy that players are able to get paid what the market perceives their value to be: this has only been the case for the last thirty years or so. That being said, it should be noted that Boras’ priority is not any individual client, but rather, the overall market for his players. This is what makes him so dangerous to owners, and such a frustrating figure for fans. Would Strasburg be happy with $17 million? I’m willing to bet he’d be happy with even a quarter of that amount. But to Boras, Strasburg is more of a catalyst for future contracts than a client he needs to make happy. Here’s the thing: for a while now, Boras has stated he wants $50 million for Strasburg. But it’s not because he wants his client to make $50 million. Rather, if you can actually get that amount for Strasburg, it sets the bar higher for future draft picks. What happens if three years from now, another phenom pitcher comes around: someone who is a few steps below Strasburg but still a #1 pick? Boras can then point to the $50 million contract, and demand say, $10-$20 million for this new client. The irony? Boras is using Strasburg to elevate salaries for future clients, but in the process, I think he’s finally turning them off. It’s standard knowledge that if you’re a baseball player and want top dollar, you hire Boras to fight for you. But Boras never fights for only one client; driving up overall market value is priority #1. So if a deal can’t be made by midnight, Boras will gladly sacrifice Strasburg’s shot at millions of dollars and the big leagues, and ship him off to an independent league for a year. Who knows what can happen after that, as Strasburg could always be one pitch away from something like Tommy John surgery. So if you’re the next bright, young, promising prospect, why would you take Boras as your agent? Yes, he’ll go out there and play hardball with a team to get you the best deal possible, but he’s not above sacrificing your shot at life changing money to further his own interests. Case and point, Alex Rodriguez had to remove Boras from his 2007 negotiations entirely, before the Yankees would talk about a new contract. Sure, a big part of that was the Yankees not wanting to deal with Boras after he ripped up the old contract (and with it, the Rangers’ obligation of $20 million). But really, it was A-Rod getting tired of being a pawn in his own negotiations, and he decided to make a move that would make him happiest. Boras didn’t get the $300 million contract he was hoping for, but A-Rod still got the biggest contract in history, and got to be a Yankee for the rest of his career. Boras wanted to push like hell for that last $20 million, and Rodriguez realized it was worth sacrificing to get some happiness and peace of mind in return. Strasburg should take notice. If midnight passes and he doesn’t sign, he’ll be leaving huge amounts of money on the table. He’ll go pitch elsewhere for a year, and re-enter the market in the 2010 draft. None of this is in his best interest. If you’re Strasburg, is there really that big of a gap between $17 million, $20 million or even $50 million at this stage in your life? Certainly, not as big as the gap between $17 million and $0. Boras is playing with fire here, and if Strasburg gets burned, no promising prospect will want to follow in his footsteps as a client. It isn’t just Strasburg; Boras represents the top three picks in the draft this year. He’s monopolizing. Very dangerous. Pretty sure I just saw Boras at the gym here in San Diego not an hour after posting this. Too weird. Boras is a cancer upon MLB. I’m all for players getting paid for what they’re worth, but it’s ridiculous to constantly drive up the price for talent, when most of that talent is nowhere near worthy of the steep price. Boras’ actions will force the issue and end up driving down prices. I don’t wish him harm, but I wish he would retire. I completely agree with White Sox GM, Kenny Williams, on his policy with Boras. Do not deal with this man unless there are no other available options.